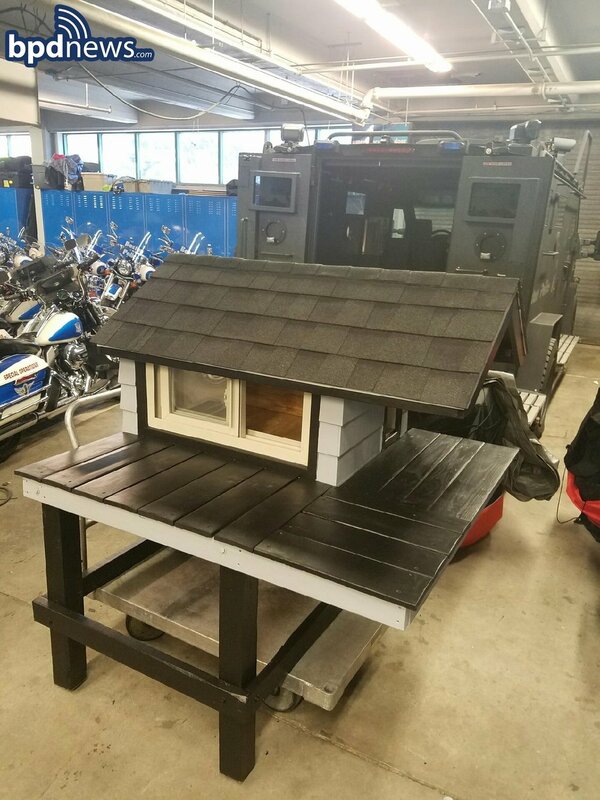 Feb 20 Check Out This Kitty Condo Boston Police Built For Unofficial Mascot "SWAT Cat"
Boston Police Department have an unofficial mascot - a stray cat they've taken in and dubbed SWAT Cat. And they just finished building a kitty condo for the lucky lady! The description of the condo, per the BPD news website, sounds nicer than MY apartment! The condo features a spacious studio interior layout, a large deck for outdoor dining and glass sliding doors offering panoramic city views. SWAT cat is a stray calico they found periodically hanging around their Special Weapons and Tactics department since 2013. They decided to build her an official condo so she'd have somewhere nice to lounge, on the occasion she decides to stay for a few nights at a time. 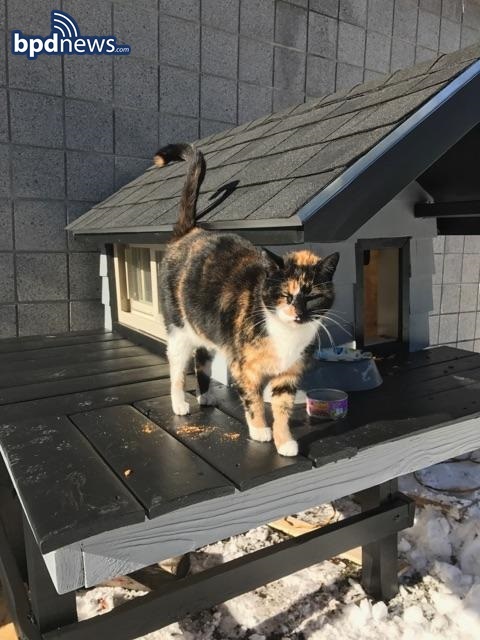 Cat-loving officer Jamie Pietroski put the fort together late nights after work. Per the officers, "SWAT Cat moved right in and looks very happy with her new custom kitty accommodations." Jan 21 Check Out Meowtel: AirBnb For Cats!